Tempting isn’t it? Hehe. 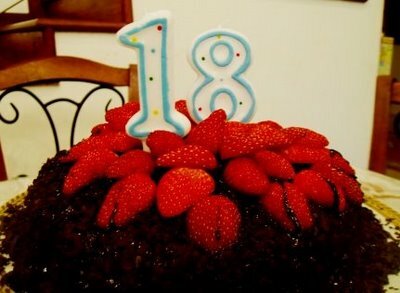 Strawberries on top really drive me crazy to go for this moist choc cake with fresh strawberries. I’ve checked the price and it only cost me RM60 for 2kg. Okla, within my budget. Hihi. If you’d prefer this too, then place your order from Kak Nani. 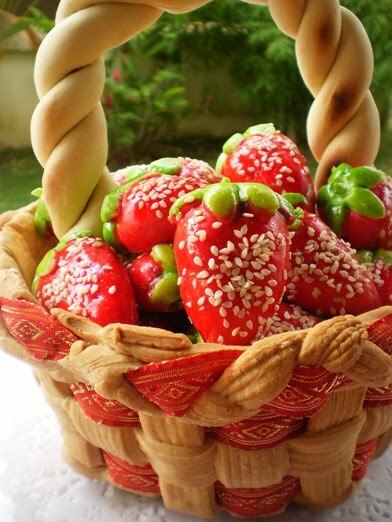 Ahh, this lovely cookies comes with pastry basket. Cute kan? There are lots of other design to choose from. But, I myself dah jatuh chenta dengan yang ini. Owh, its from Kak Nani jugak. Price range from RM40-88. Contact her for more info. The last item would be fruits or tarts. And I’m still on searching. Maybe tempah tarts and letak dalam pastry basket yang dibuat oleh Kak Nani juga. We’ll see how nanti.